Augmented Reality and Virtual Reality. Different, but connected. Confusing, but worth exploring and explaining. To be honest enough, before writing this post, even I couldn’t explain the two technologies in a clear and precise manner. But after digging my eyes on the internet, now I can; and I’l try to do the same for you. 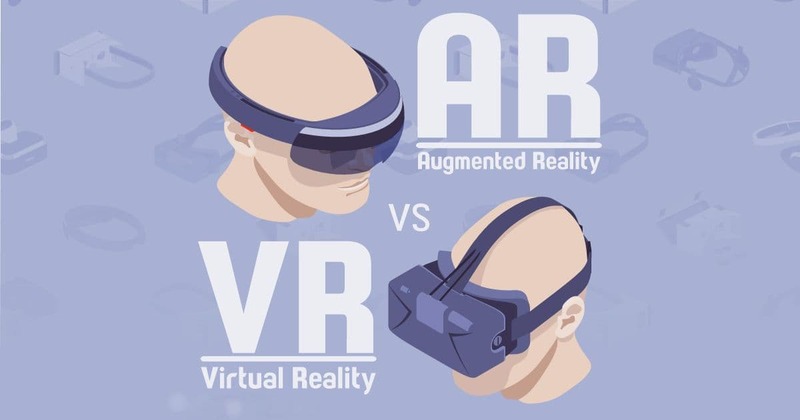 Augmented Reality and Virtual Reality, have one big thing in common. They both alter our perception of the world; the difference though, lies in the manner, in which each of it does it. Sounds confusing? Allow me to make things real easy for you by giving some Hollywood movie references. 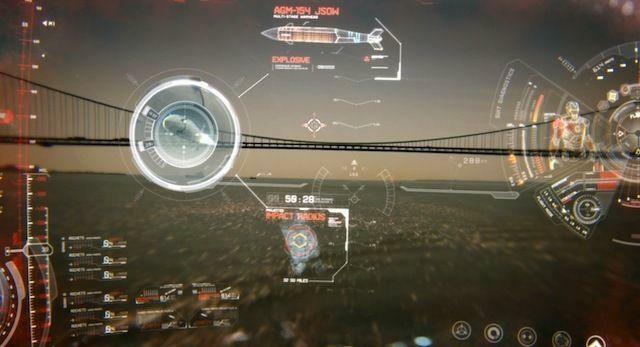 Remember the heads up display in Tony Stark’s Iron Man suit? That’s Augmented Reality for you. Now movies like Avatar (James Cameron’s epic 3D film), in which humans in a lab use virtual reality to interact with the Na’vi people who live on a distant moon, or Assassin’s Creed (based on the hit video game), in which a virtual reality machine called the Animus allows users to live their ancestors’ life and experiences; are common examples of Virtual Reality. So, VR is able to transpose the user, that is bring us some place else. Through closed visors or goggles, VR blocks out the room and puts our presence elsewhere. AR however, takes our current reality and adds something to it. It does not move us elsewhere. It, instead, superimposes the virtual screen on to the real one; through a smartphone screen or application, or a wearable. This is the subtle, but important and major difference between augmented reality and virtual reality. Virtual Reality – How it works? Total immersion is what makes a VR headset, game or app special – making the virtual reality experience so real that we forget the computer, headgear and accessories and act exactly as we would in the real world. The goal of the hardware is to create what appears to be a life size, 3D virtual environment without the boundaries we observe in TV or computer screens. So whatever way we look, the screen mounted to our face follows us. Video is sent from the device to the headset, and the headsets in return might either use two feeds sent to one display or two LCD displays, one per eye. When we move our head in any direction, the accelerometer in our phone, and the GPS locate and project us the virtual reality which we see. And with headphones, we can hear sounds as if they are coming from different directions, giving us a completely immersive experience and making us feel like we’ve been transported somewhere else. Google Cardboard, Facebook’s Oculus Rift, Samsung Gear VR, and HTC Vive are some common names heard in virtual reality and are known as HMDs or head mounted displays. 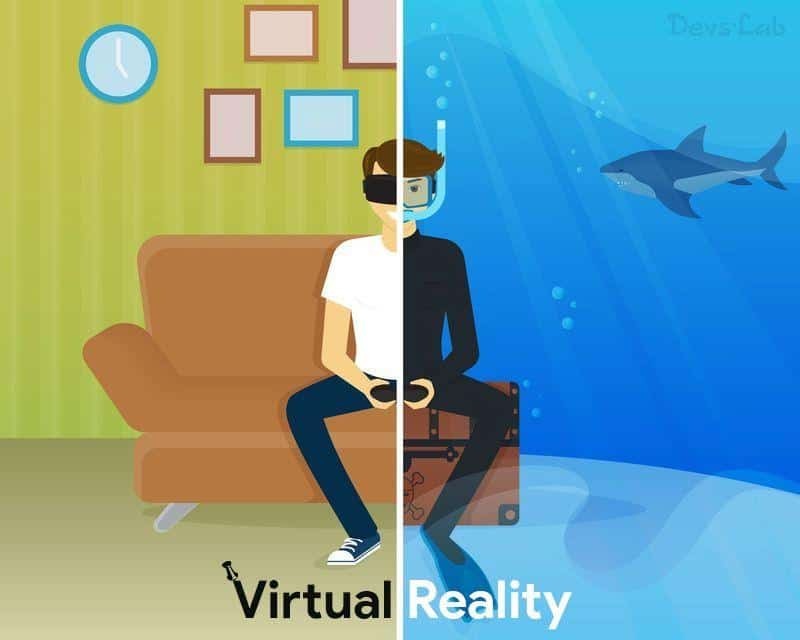 All we have to do is slide our device into the headsets and immerse in the world of virtual reality, from playing games (Survios’ Raw Data) to swimming with Great White Sharks to be able to paint with light (Google’s Tiltbursh). Augmented Reality- How it works? In augmented reality, the user sees the real world but with the addition of computer generated images which are overlaid on various objects within the real world. They are still aware that they are in the real world as compared to the full immersion in a virtual reality. They use a device such as a smartphone or a wearable device (such as Google Glass or Microsoft HoloLens) – complete with a webcam – which contains software that recognizes an image and helps displays objects onto that image. In short, the phone has to be able to “see” and understand spaces like humans do. To do this it must be able to track motion, perceive where it is in relation to the physical surroundings, and perceive depth. For this, the phone uses GPRS and camera to obtain information about a particular geographical location, and software, sensors to display images onto this real world location. 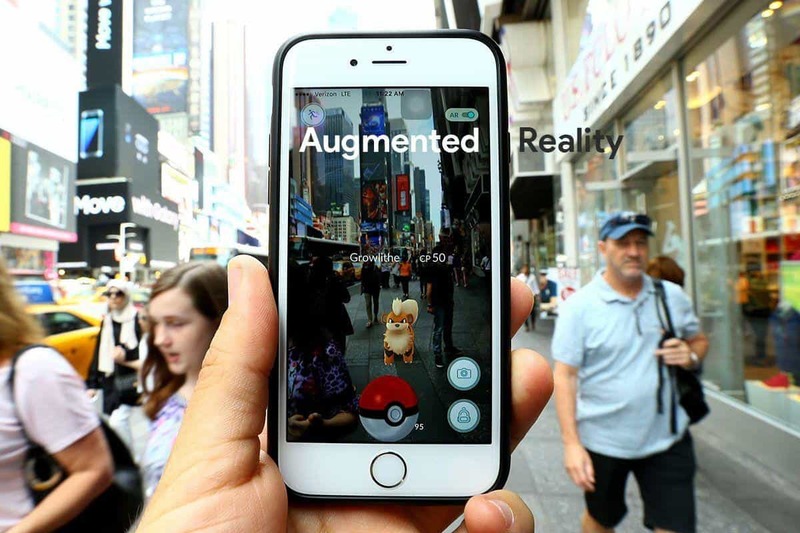 One popular example of augmented reality is Pokemon Go. It doesn’t really matter to us if our animated realities are becoming more life like through overlaying objects on top of an image or fully immersing us into a different world altogether, we are happy as long as we get visual treats in the form of AR and VR.